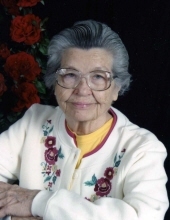 Norma Irene Flynn Alexander, 89, of Edenton died Saturday, March 23, 2019, at Vidant Chowan Hospital in Edenton. Born November 4,1929 in McDowell County she was the daughter of the late Amos Flynn and Rena Irene Flynn and was preceded in death by her husband, Warren Leonard Alexander; daughters, Daisy A. Armstrong and Norma F. Davenport; son, Jackie L. Alexander; sisters, Rosa Parker and Ruby Eaton; brothers, James Flynn, Cecil Flynn, Earl Flynn, Coleman Flynn, Silas Flynn and Walker Flynn; grandchild, Jamie Modlin. Mrs. Alexander was a homemaker and member of Cherry Church of God. Her family includes her daughters, Linda A. Spear and husband Archie Ray and Beckie A. Spear and husband Bobby both of Creswell, N.C., Tena A. Jones and husband Rip of Hertford, N.C. and Teressa A. Hayes of Edenton, N.C.; sons, Timmie Alexander of Hertford, N.C., Warren Alexander and wife Joyce of Elizabeth City, N.C., Floyd Alexander and wife June and Leroy Alexander and wife Frances both of Edenton, N.C., Joe Alexander and wife Carol of Springdale, AK. ; brother, Billy Flynn of Marion, N.C.; twenty-eight grandchildren, forty-eight great grandchildren, sixteen great-great grandchildren, five step grandchildren, and thirteen step great grandchildren. Funeral service will be held Wednesday, March 27, 2019 at 2:00 pm at Cherry Church of God with David Phelps officiating. Burial will follow at St., David's Episcopal Cemetery. Family will receive friends on Wednesday, March 27, 2019 from 12:30 to 1:30 pm at the church prior to the service. "Email Address" would like to share the life celebration of Norma Flynn Alexander. Click on the "link" to go to share a favorite memory or leave a condolence message for the family.